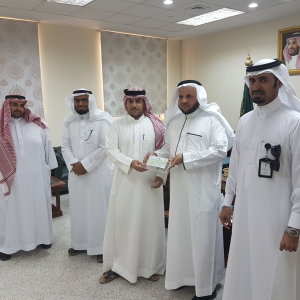 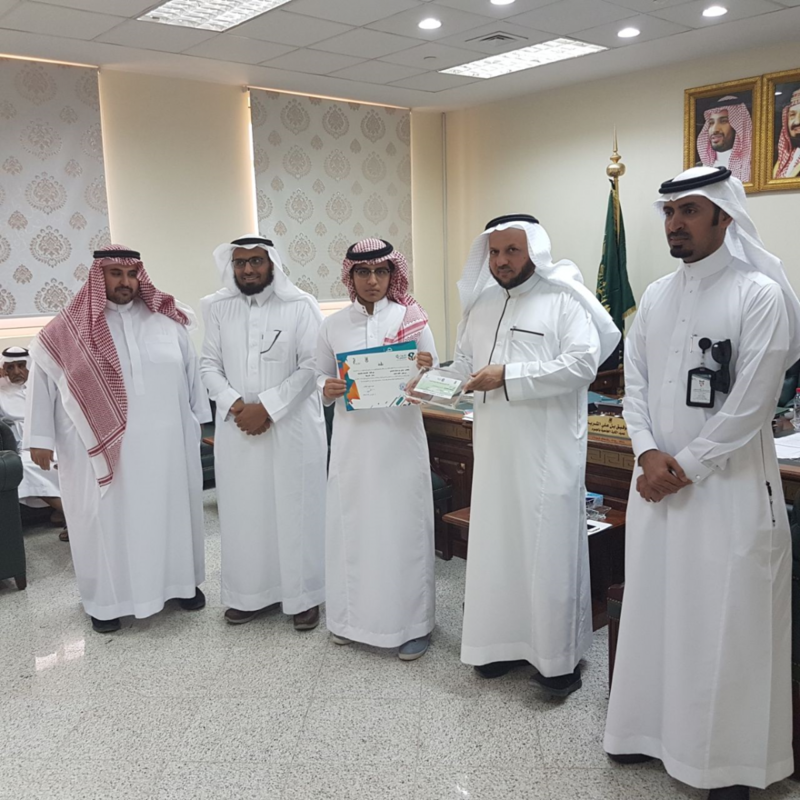 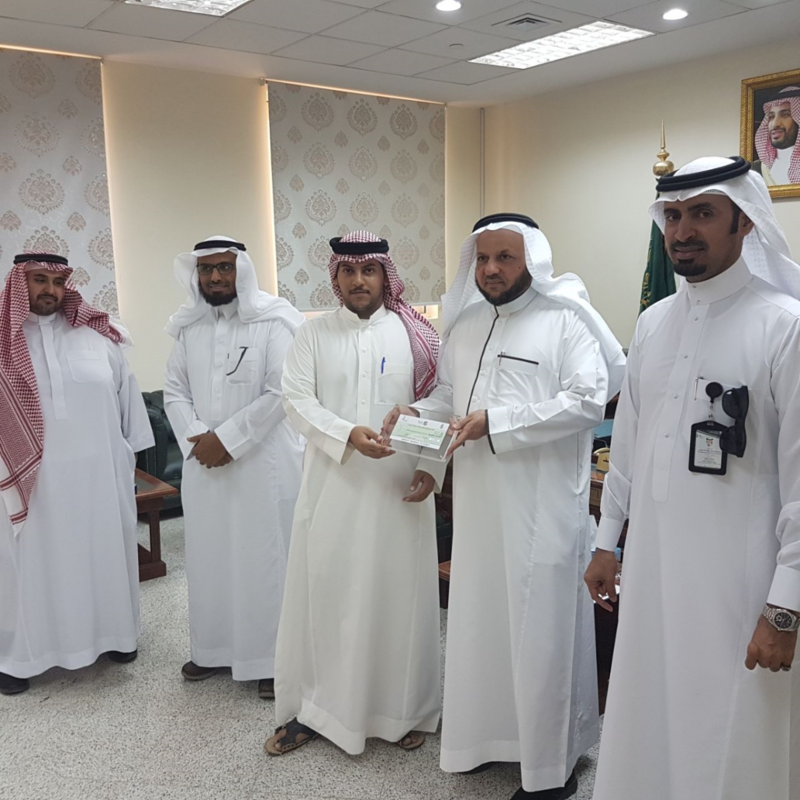 The Dean of Jamoum University College Dr. Tawfiq bin Ali Al-Sharif honored in his office on Monday Rajab 2, 1439 H the winners and participants in the 9th scientific forum for this year. The college obtained a number of awards and advanced ranks, whereas the student Torki bin Askar Al-Solami obtained the first place in the "explain it" contest, while student Majid bin Maeedh Al-Zahrani scored the second place in the diction contest, student Majdi bin Abdul-Ala Al-Solami scored the third place in the applied scientific research contest, female student Hind bint Faris Al-Qurashi scored the first place in the projects contest and female student Sarah bint Mohamed Al-Hindi scored the third place in "explain it" contest for female students. 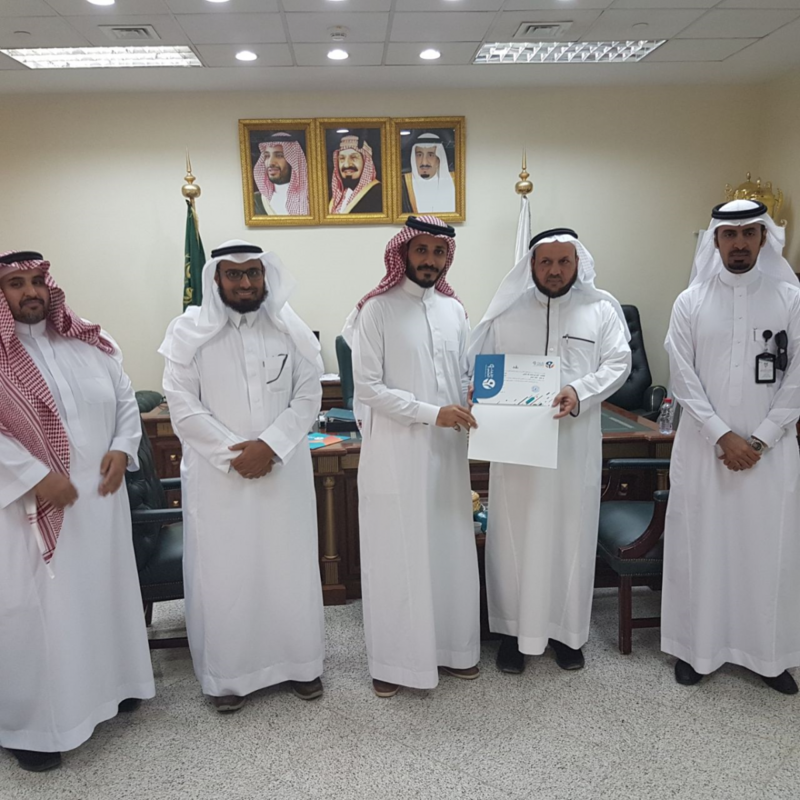 On this occasionو the Dean of the College expressed his happiness for the achievements and successes made by male and female students and wished them all success in serving the country. It should be noted here that the meeting was attended by the College Vice Deans.